Legal Utah sports betting is an idea that many residents have long given up on. While folks in the Beehive state love to root for the Utah Jazz and their collegiate sports programs, gambling has never been a part of the state culture. Residents in the state have always taken a much more traditional approach to the subject, seeing it more as harmful to those in lower-income communities and a violation of their faith. But, with billions of dollars being wagered under the table in the US, surely some of that portion is coming from around the Great Salt Lake. If you’re wondering how the answer lies in the fact that offshore online sportsbooks will accept most US players. Even those Utah citizens that want to bet on a BYU victory will have the chance to do so on these sites. There is no need to hop across state lines in order to find the best odds on all your favorite matchups. We’ll go over how these sites are able to do so, what the state laws are on this matter, and what other types of legal sports wagering are available to Utah natives. 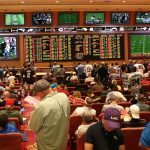 Is Land Based Sports Betting Legal In Utah? Unfortunately, no. The truth of the matter is that there are no casinos or gaming facilities in the state. Even placing wagers at one of the state’s horse racing tracks is prohibited as well. The state also does provide a lottery so even if you wanted to gamble at a gas station you can’t. This reality doesn’t seem as though it will change anytime soon as there have not been any bills introduced to expand gaming opportunities or to allow for legal sports betting in Utah. Is It Illegal To Bet On Sports Online In Utah? This is where the one silver lining can be found for bettors in the state. 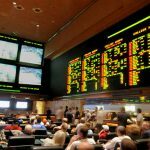 While lawmakers have tried to prohibit just about every form of gambling imaginable, there is nowhere that clearly specifies lawmaker’s stance when it comes to online sports betting to offshore sportsbooks. These types of sites are regulated and operated in countries outside of the US, which means Utah state laws and federal laws have no jurisdiction over them. There are also no clear penalties stated for individuals who use these sites, making them the only form of legal Utah sports betting. Is There Anywhere In Utah That I Can I Bet On Sports? 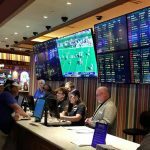 While there are no physical locations that you can bet on sports, you always have access to a sportsbook with just a simple internet connection. The offshore sports betting sites not only have fast and readily available wagering opportunities for your desktop computers, but they also offer the same features on your mobile device. The internet is cluttered with these sites, but only Bovada, SportsBetting, BetOnline, and 5Dimes have served American users for over a decade and have proven to payout. You are also free to become a member to more than just one site, giving you the chance to shop lines and make the most comfortable bet possible. 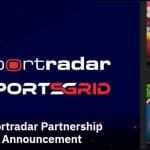 If you’re still not comfortable in placing sports wagers online and you would like to go to physical sportsbook instead, there is good news. Nevada, the most notorious gambling state in the country, is located right next door. Utah natives that want to place bets on events like the Super Bowl or March Madness, travel every year to Las Vegas in order to do so. For people that don’t want all the extra buzz that comes with a place like Vegas or simply live on the southeast part of the state, they have the opportunity to go to New Mexico to make their sports bets instead. Since these can all become very expensive trips, we highly recommend sticking to online options. Many hope that with the pressure of other states legalizing sports betting, that it will someday make its way to Utah. If it does we’ve provided a list of potential cities you may find sportsbooks opening, but for those that don’t want to wait we’ve also provided nearby cities with sportsbooks open right now. Legal Utah sports betting and gambling laws are almost the exact opposite of their neighboring state Nevada. Utah doesn’t allow a state lottery, casinos, or pretty much any type of gambling within the state. Utah Code 76-10-1101 provides the complete context to which these laws extend. The code defines gambling as “Risking anything of value upon the outcome of a contest, game, scheme, or gaming device when the return or outcome is based upon an element of chance…” With this in mind legal sports betting in Utah can’t exist within its borders, which is why going online and using offshore sportsbooks are a bettor’s only option. This seems as though it will be their only option for a while because since the fall of PASPA in May of 2018, lawmakers have yet to introduce any new bills to extend or change their gambling laws. Even though Utah is only home to one professional sports team and two Division 1 NCAA sports programs, the love for those teams outweighs many other state’s sports fans. The Utah Jazz have had all-star talent play for their team, and the Utah Utes have even reached New Year’s six bowl games. UT residents love to bet on these teams, but with online offshore sportsbooks, they’ll be able to bet on any team located in the US and around the world. But, it’s always easier to place wagers on teams that you regularly watch which is why we’ve provided a list popular teams that folks in Utah tend to gravitate towards. 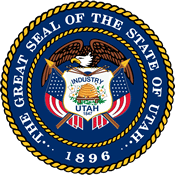 It should come as no surprise that betting on horses anywhere in Utah is prohibited. The activity isn’t even allowed at the state’s few horse racing tracks. But, offshore betting sites like 5Dimes, Bovada, BetOnline, and SportsBetting, provide world-class racebooks that are available to all UT residents that want to bet on the next big race. These sites even provide users with bonuses and promotions that you could never find at a physical pari-mutual wagering establishment. Daily fantasy sports are seemingly the one of the few exceptions to the current state laws. As we previously stated, Utah outlaws games of chance but advocates for DFS sites have argued time and again that participating in these leagues involves skill. Utah lawmakers have introduced bills to regulate the activity but all of these attempts ultimately failed. It’s because of this legal gray area that DFS giants like DraftKings and FanDuel have started to accept Utah players and allowed them to place real money on their contests. This is why many sports fans have used this as their preferred method for legal Utah sports betting. Can I Bet Real Money On Sports In Utah? Yes, but wagering with real money can only be done online with offshore betting sites. They accept real money deposits and use that money to place wagers on the sports matchups of your choice. Many of the top online sportsbooks will even accept Bitcoin as a faster and more reliable form of payment. 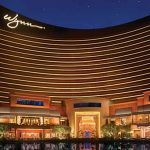 What Is the Sports Betting Age In Utah? This can be a difficult question to answer because there are no laws explicitly written for this and since gambling doesn’t exist in the state, there is no age to use as a reference. Many online offshore sports betting sites have and age restriction of their own and it’s usually 18 years or older. Since that’s the case you can start to place your sports bets as soon as you turn 18, but users of these sites tend to be 21 years or older just to be extra safe. Are There Mobile Sports Betting Apps Available In Utah? Each one of the sportsbooks we recommended previously has their own app. These apps can be downloaded simply by visiting the main site and doing so from there. Bovada 5Dimes, SportsBetting, and BetOnline all have mobile friendly versions of their site as well. You can get the full odds board and wagering type, all from a few taps of your fingers.